Happy New Year to you all! 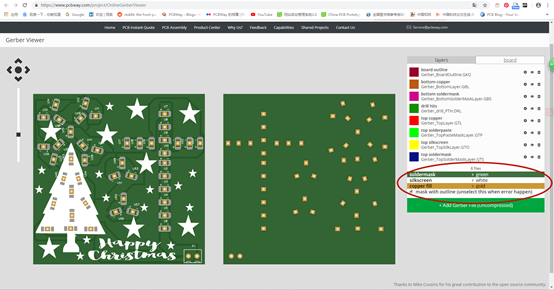 As the year 2019 begins, PCBWay has got a lot of good news and can't wait to tell you the big news! 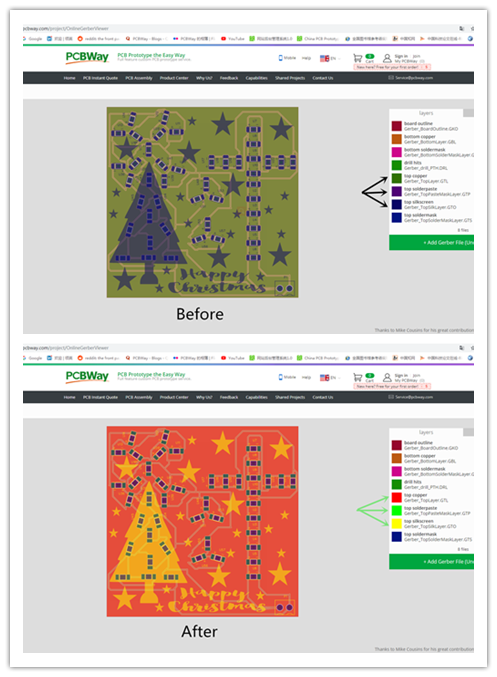 That is, PCBWay launched the Online Gerber Viewer. Now, let welcome little V to introduce itself! Hello! Nice to meet you! You can call me Little V, and I have already prepared to service for you all. Now, let‘s see how to use me. 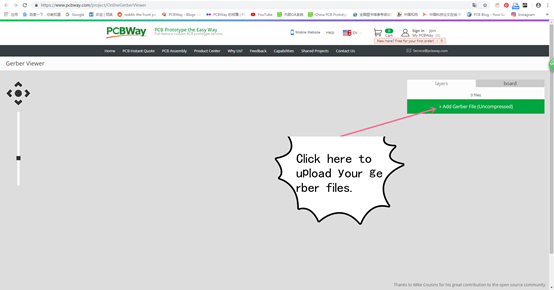 First, you need to enter https://www.pcbway.com/ and then you should click the “PCB Instant Quote” as below. Then you will find me! As you click me, you will enter into the page that you can upload your gerber files as below. Note: I DONOT support compressed files! So please give me all the documents after the extract as below! Thank you very much! 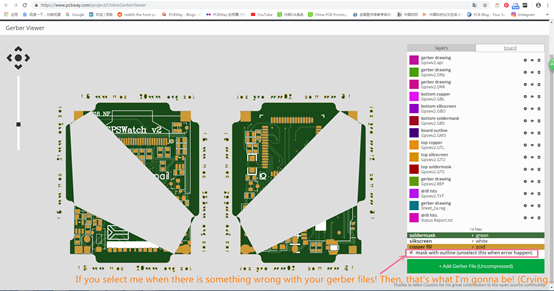 You will see such a page after you have uploaded your gerber files as below and this picture shows the page of layers. The graph on the left of this page has the function of shrink and amplification. In addition, when the cursor is around the image, you can see that it is the shape of a small hand, that is to say, at this time, you can move the position of the graph at will, so as to facilitate your observation. 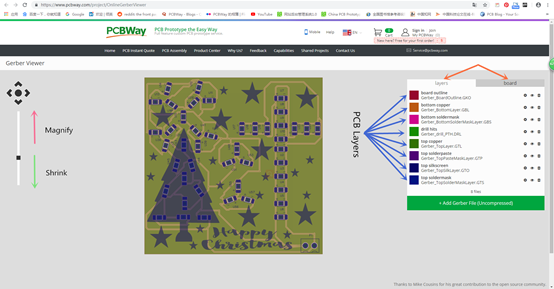 The PCB layers are shown on the right of this page, and each layer can be represented in the different color. You can change the color of a layer by clicking on the color icon for the different layers. What’s more, there are two forms to display images, one is layers and the other is board. The image below shows the changes before and after changing the color of some layers. Now, let’s see the page of board. 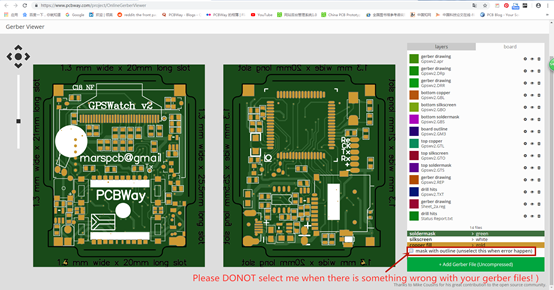 The function below the Board view is also the same as in Layers. The only thing to notice is what's inside the red circle in the bottom right corner. Here is an example of the gerber file without error. Note: If you find something wrong with your uploaded files, please DONOT select the “mask with outline” by the blue arrow! Here are examples of the gerber files with some errors. If you select me when there is something wrong with your gerber files, that’s what I might be as below. So much for my use methods! Isn't that easy? Then quickly enter this page to have a try! Thousands of words can't compare with the actual operation! I’m looking forward to meeting you! 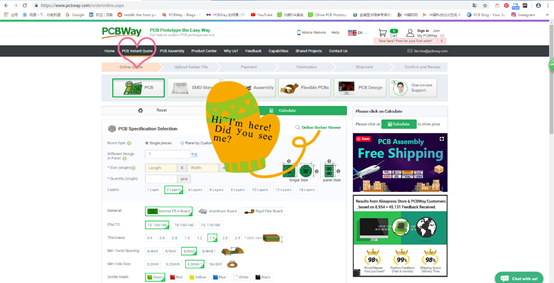 Finally, I want to wish you good luck and happy New Year again! Next：Daniel Frank and his awarding project "Hedgehog"